This year things didn’t work out for us to go up north. I’m a little sad because this is the one time a year I get to go fishing. I could go on my own, but without my dad, who will put on my bait and take off my fish? (I’m a girl and I act like one. Deal with it.) Instead, we opted to have a staycation where we stay home and do nothing but fun things for a week. Due to when my husband was able to get off work, our staycation didn’t happen until this week – the first week of September! We’ve been having a blast so far. We agreed that we’re not stressing over time and we’re just relaxing. 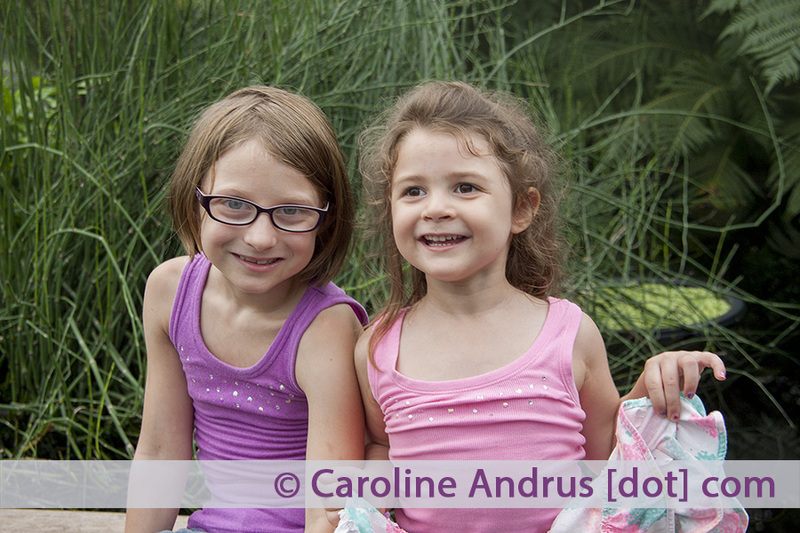 We started Monday with a picnic at the neighborhood park with two sets of our former neighbors. My girls loved getting to see their friends and, as a bonus, they had NO idea their friends would even be there! What began as a family walk to the park turned into a family drive when we realized it was in the upper 80’s on trash day. Not a pretty smell to say the least! Day two, Tuesday, involved my baby’s preschool screening (Mina is nearly four, so I use the word “baby” loosely.) That went pretty well, aside from her failing the vision screening. My older daughter (Allison is eight and a half) barely passed hers and ended up getting her first pair of glasses a year later. This time we have a referral to the eye doctor to get her screened asap. Once home from the screening I took a nap (the screening was at 9. 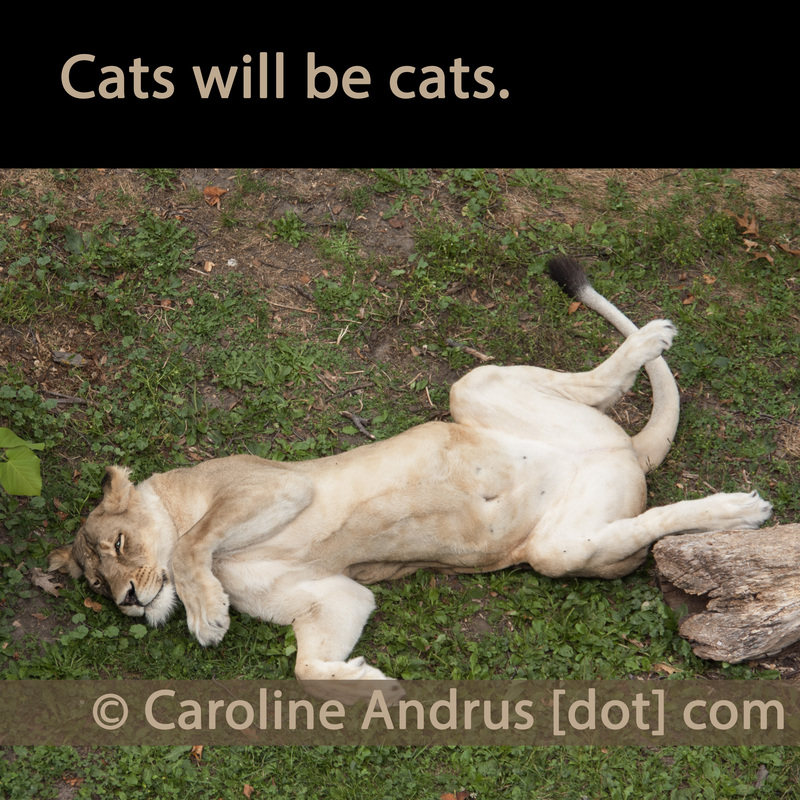 I don’t like getting up before the double digits – I’m a night owl!) And then, after nap time, we headed out to the Como Zoo (aka the free zoo!) The kids loved the animals, the bison was a big hit for Allison. Mina loved the giraffe’s, especially the baby who was not even a week old yet. 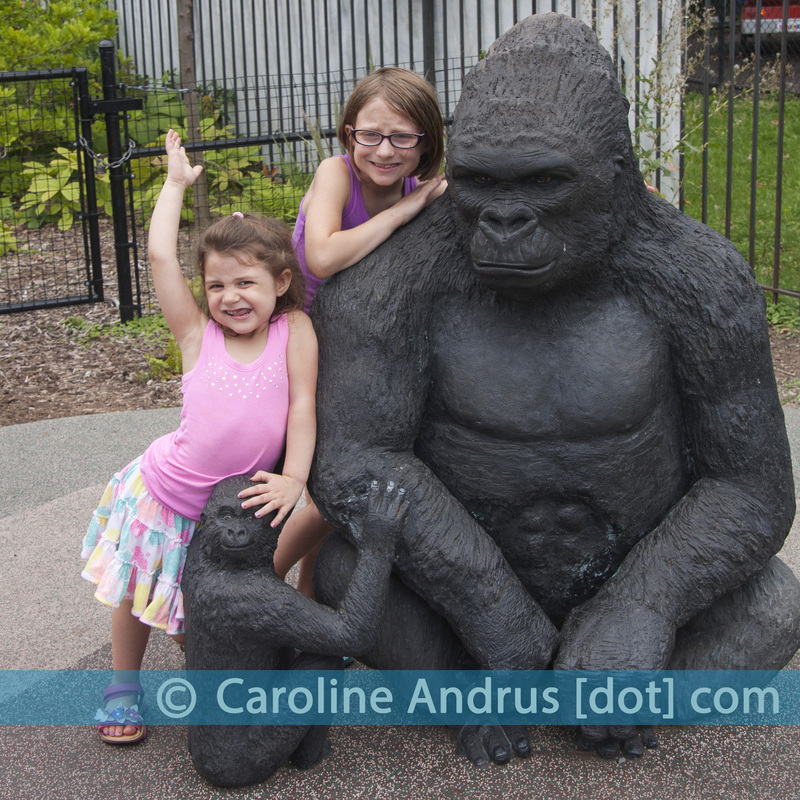 I think the gorilla’s were my favorite, they have a very nice new habitat which is much nicer than their old one! To top it off, before leaving we ventured into Como Town so the girls could ride the rides. The swings were a hit, but the frog hopper was hands down their favorite. Allison really enjoyed “driving school” as well, and even followed the “rules of the road” and stopped at the stop signs! Today was less awesome, it was more of a recovery from the past two days. I tried to start a campfire in the fire pit out back, but everything is too wet from yesterdays rain. We’ll try again tomorrow. We did get out of the house for Allison’s school orientation followed by a trip to Wendy’s to use the last two coupons for free Son of a Baconator’s we received from a Saint Paul Saint’s baseball game we attended a month or so ago. 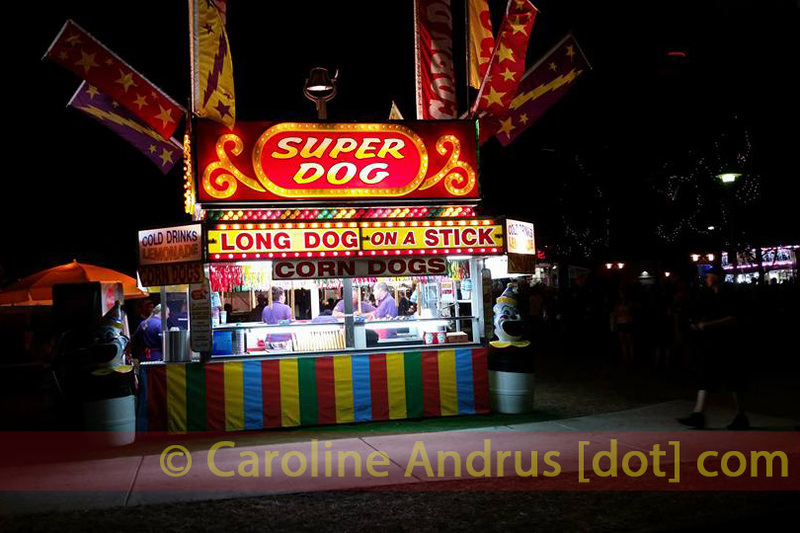 We don’t eat fast food often so itw as a treat for the girls. Of course, Allison is my queasy child, and she hadn’t eaten in a while before we left the house (despite being told to grab a snack) and ended up feeling too sick to eat, then puking all over the bathroom floor at Wendy’s. At least it wasn’t the car. This time. 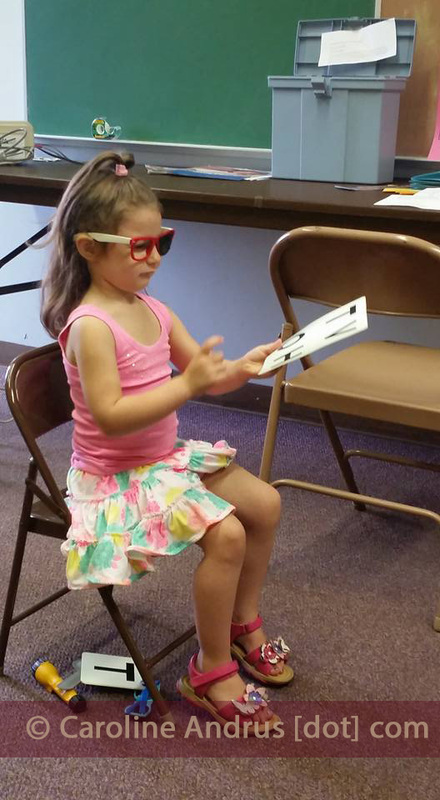 Mina taking the vision test at her preschool screening. 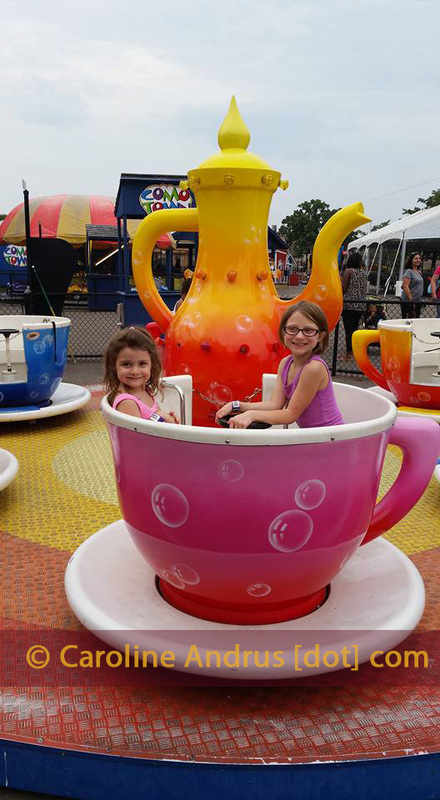 Mina and Allison riding the tea cups at Como Town. 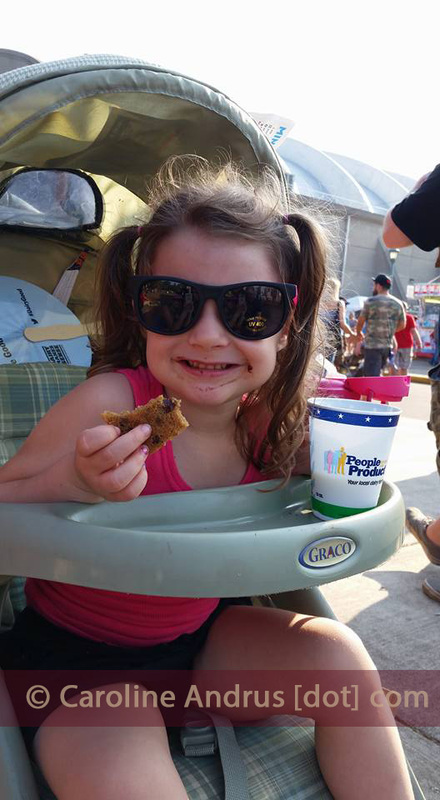 Mina enjoying Sweet Martha’s Cookies and all you can drink milk at the Minnesota State Fair. 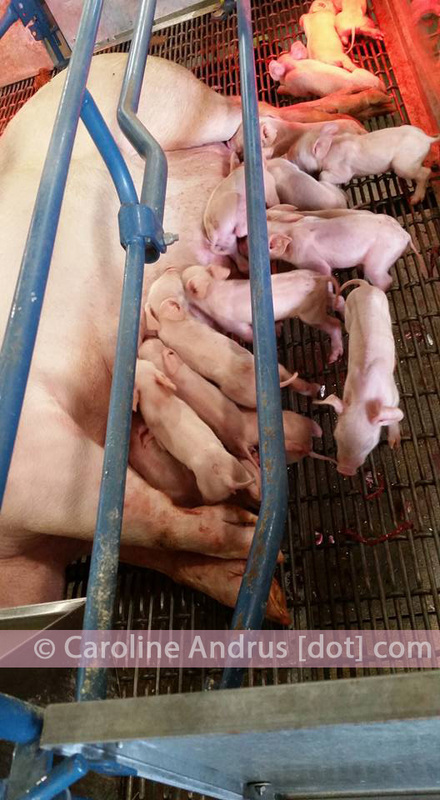 These piglets were born just that morning. So cute!